The LG 27UD58 is one of the cheapest 4K IPS monitors available yet it offers an incredible image quality with vibrant colors and eye-catching detail clarity. It’s a great pick for everyday use, casual gaming (console and PC), and even entry-level content creation. The LG 27UD58-B monitor features an AH-IPS panel with 10-bit color depth support through dithering (8-bit + FRC) and it’s factory-calibrated to cover over 99% of the sRGB color space which means that you get accurate, consistent, and vibrant colors. Further, 4K Ultra HD resolution displayed on a 27-inch screen results in a rich pixel density of 163 pixels per inch. Naturally, you will need to scale your interface by at least 150% in order to enlarge small items such as text to a readable size which will, in turn, decrease the amount of screen space but increase detail clarity. Keep in mind that 4K is quite taxing on your GPU/CPU when it comes to PC gaming, so make sure you have the proper gear to run your favorite games without any issues. Other panel-related specs of the LG 27UD58 include a 1,000:1 contrast ratio, a 250-nit peak brightness, a 5ms (GtG) response time speed, and wide 178-degree viewing angles for a comfortable viewing experience no matter the angle you’re looking at the screen. Our LG 27UD58 unit showed no excessive backlight bleeding nor IPS glow, nor any other defects such as dead/stuck pixels. It has a flicker-free backlight, so those sensitive to flickering won’t get headaches after prolonged use. There’s also a low-blue light mode which filters out the harmful low-blue lights. 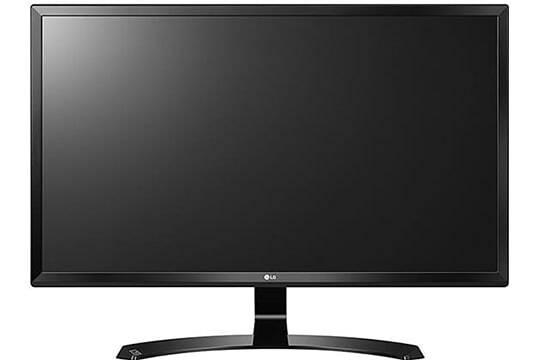 Moving on to the performance, the LG 27UD58 4K monitor has a very low input lag of 9ms which makes for imperceptible delay between your actions and the result on the screen. The 5ms response time speed i.e. the speed at which pixels can change from one shade of gray to another is sufficient to eliminate most of trailing caused by fast-moving objects for a smooth fast-paced gaming experience at 60Hz. Of course, a 144Hz refresh rate would be a lot smoother, but 4K 144Hz displays cost at least $1,000. 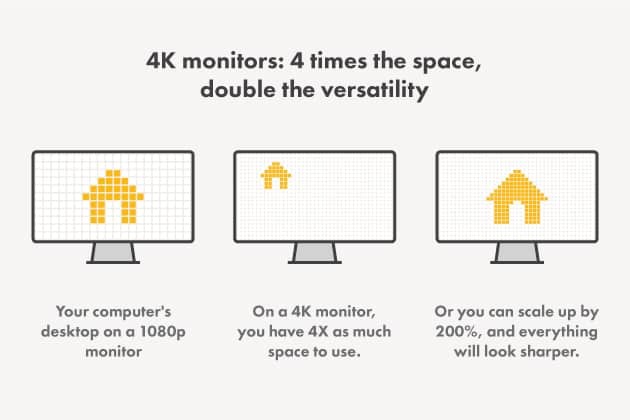 That’s why most PC gamers opt for 1440p 144Hz displays instead as they offer a more viable balance between image quality and performance without breaking the bank. 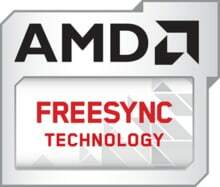 The LG 27UD58 also supports AMD FreeSync which offers a variable refresh rate (VRR) when connected to a compatible graphics card. It supports VRR only over DisplayPort, so it cannot be used with Xbox One. There are two FreeSync modes: Basic (48-60Hz VRR range) and Extended (40-60Hz). We managed to get FreeSync to work with an NVIDIA card, but only in the Basic mode which may be narrow, but it’s still better than nothing. Apart from FreeSync, the LG 27UD58 is equipped with plenty of useful features such as Screen Split (divides the screen into parts for easier multitasking) and On-Screen Control (a desktop application that allows you to adjust the OSD settings). The OSD (On-Screen Display) menu can also be navigated via the joystick that’s placed beneath the bottom bezel. 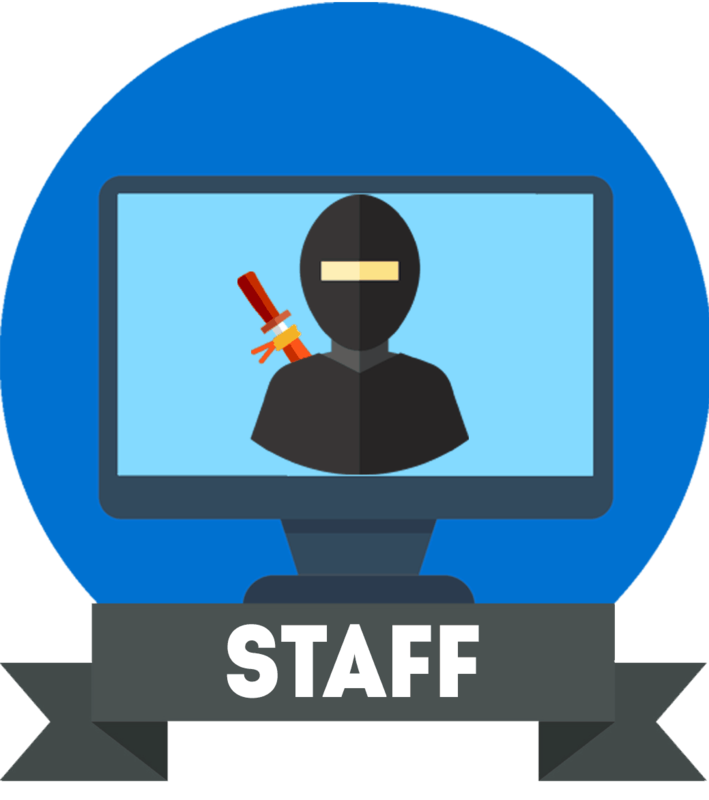 Other features include Black Stabilizer (increases visibility in darker games), pre-calibrated picture presets (two FPS modes, RTS, Custom, Photo, Cinema, Reader, Dark Room, and Color Weakness). Additionally, you will find Dynamic Action Sync which bypasses certain video post-processing to minimalize input lag. Standard adjustments such as contrast/brightness, gamma, sharpness, color temperature, etc are available as well. The design of the LG 27UD58 is fairly simple. It has an elegant glossy black finish with reasonably thick bezels which will suit any environment, be it a gaming setup or an office cubicle. The stand can only be tilted by -2°/18°, but you can VESA mount the screen via the 100x100mm pattern. Connectivity options include two HDMI 2.0 ports, DisplayPort 1.2, and a headphones jack. All display connectors support HDCP 2.2, so you can watch copy-protected content from streaming services such as Netflix in native 4K UHD resolution. When using the monitor with 4K consoles, make sure the HDMI Ultra HD Deep Color option is enabled in OSD. Lastly, the screen has a matte anti-glare coating which eliminates reflections. The price of the LG 27UD58 goes up to $350, though it’s often available under $300. 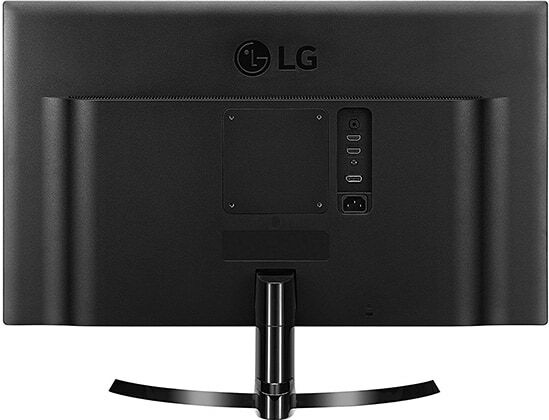 On Amazon, you will also find the 24″ model of this monitor, the LG 24UD58 which is sometimes available under $250. 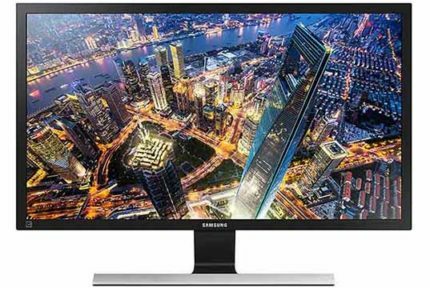 The only comparable display to it is the Philips 276E8VJSB which is another 27″ 4K IPS monitor available under $300, however, it has no VESA mount compatibility nor AMD FreeSync. Dell P2715Q/U2718Q – 27″ UHD IPS monitor with better factory-calibration for those looking for a 4K display mainly for color-critical tasks. 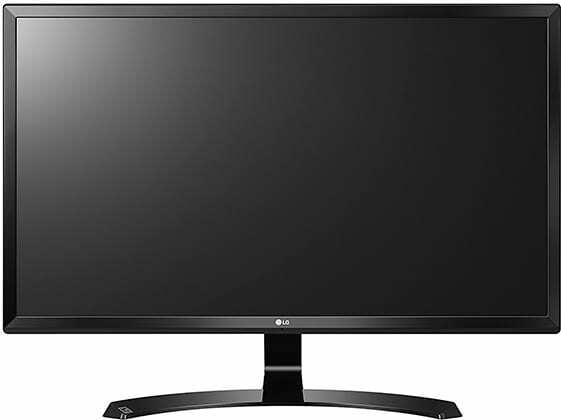 LG 27UD68P – 27″ UHD IPS monitor with FreeSync over HDMI and DP, thin bezels, and an ergonomic stand. LG 27UK650 – Offers everything the 27UD68P does plus entry-level HDR support. 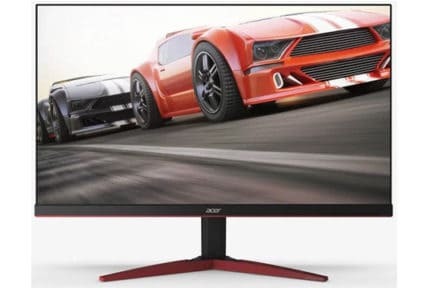 ASUS VP28UQG – 27″ UHD monitor with a TN panel with a worse image quality and viewing angles, but faster response time and FreeSync over HDMI and DP. Although there are better models than the LG 27UD58, it is very hard to beat its value for the money. In fact, if you don’t need FreeSync over HDMI, modern design, or professional-grade color accuracy, there’s no reason not to get the LG 27UD58 and save some money as you still get a stunning image quality, smooth performance, and many exclusive features. The LG 27UD58 is one of the most affordable 4K monitors yet it offers vibrant colors, crisp details, a smooth performance, and plenty of useful features.